To afford extended opportunities for academic challenge and applied learning, we engage our students in various extracurricular scholarship. 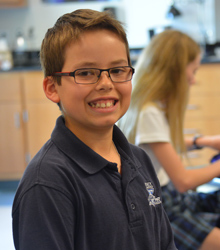 Our students may choose to match skills with students across the state in Private Schools Interscholastic Association's (PSIA) academic competition; some may undertake stimulating challenges in creative problem-solving with a Destination Imagination team; or take a stand in the Scripps National Spelling Bee or National Geographic's Geography Bee. Middle School students also challenge the National Latin and Spanish Exam, or participate in various competitions in mathematics and writing offered within their English and math classes. They may also choose to practice debate and negotiation around issues of global significance with the Model United Nations club. 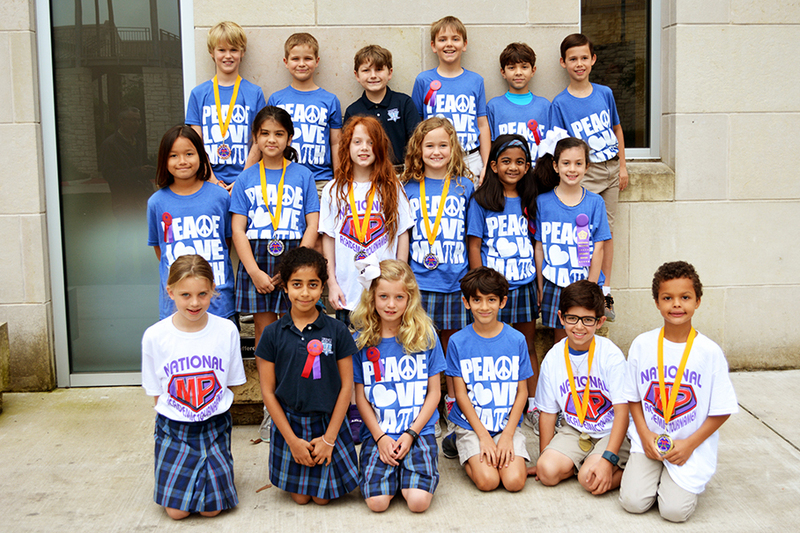 With 19 contest categories covering a wide range of disciplines, PSIA, Private Schools Interscholastic Association, provides an exciting opportunity for private school students in grades 1 through 8 to engage in academic competition with their peers throughout the state of Texas. 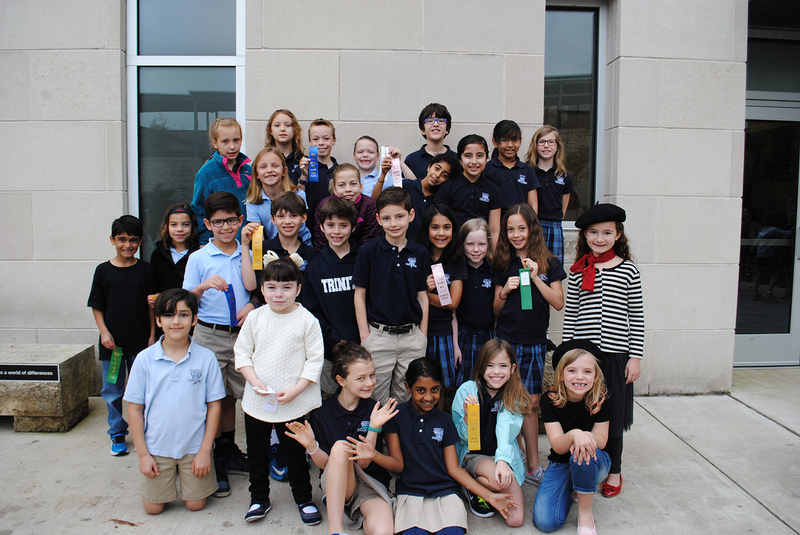 Trinity students recently competed in the PSIA Texas state competition in Fort Worth at Texas Christian University. 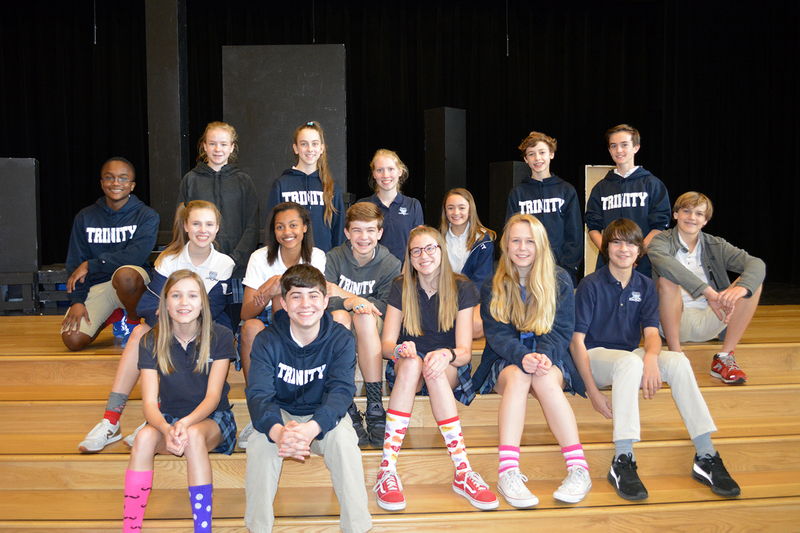 Trinity had ten students from Lower and Middle School qualify for the state meet. Math Pentathlon is a program of interactive problem-solving games, supportive curricular and instructional activities, and assessment tools. This program provides a highly motivational format for developing and practicing important mathematics concepts and skills, while strengthening strategic thinking/problem-solving abilities. 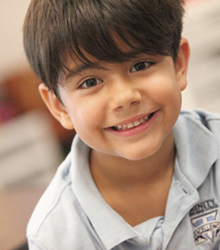 This rigorous program is aligned with standards in the areas of number sense, computation, algebra and functions, geometry, measurement, and problem solving. Students in grades K-3 learn five Math Pentathlon games. Game partners discuss aloud various options and possibilities in formulating strategies based on expected counter moves from the other players. In this way the games challenge students to mature in their ability to think strategically and resolve problems that are continually undergoing change. 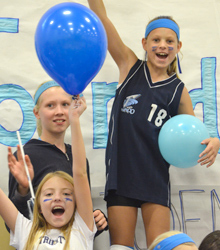 After learning and mastering the games, students are given the opportunity to compete with students from other schools at the state tournament. Every year, more than 60% of our students compete. We have placed 2nd in the state and continue to be a very strong presence at the Pentatholn tournament. We look forward to competing again next spring! Model UN allows our Middle School students the opportunity to role-play the assemblies of the United Nations. This is an excellent hands-on approach to learning critical thinking and argumentation in a compelling context. By role-playing delegates to the UN, students learn about other countries, cultures and international relationships, while developing a global perspective on real issues confronting the world today. The program culminates in a two-day Model United Nations session. 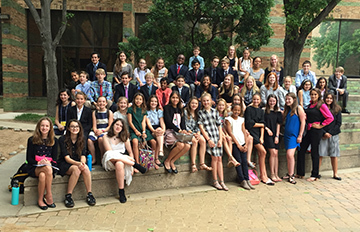 Trinity sends a delegation of Middle School students to the Global Elementary Model United Nations Convention every spring. Participants are placed on global committees and are given topics to discuss and debate. This year, Kate Kadyan took the top Security Council award and Johnny Bennett, Avery Cline, Finley Ahearn, Priya Julian, and Sloane Heredia received honorable mentions. 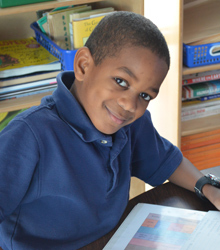 In the Lower School, our 2nd - 4th grade students participate in a written spelling bee every year. Those papers are graded and the top three winners from each grade will go on to participate in the PSIA Spelling Contest in the Fall. 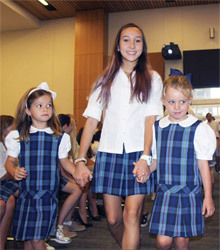 The Middle School students participate in the Scripps National Spelling Bee contest annually. This is a spoken bee, and this year we had over 50 students compete for the title. The winner goes on to represent Trinity at the State Spelling Bee competition. The National Geographic Bee is an annual geography contest sponsored by the National Geographic Society. 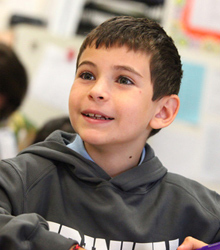 The bee, held every year since 1989, is open to students in the fourth through eighth grade in participating American schools. Each year our Middle School students participate in the Geo Bee using materialsprepared by the National Geographic Society. The contest is designed to spark student interest in geography and to increase global awareness. Ten students participated, including three each from seventh and eighth grade, and two each from fifth and sixth. The participants were determined through in-class competitions at each grade level. The students went in rounds answering both written and oral questions. During the “Championship Round,” our two finalists had a series of three questions each to determine the winner. The winner goes on to participate in the State Geography Bee in Dallas.